Life-size Halloween inflatable from the TV movie It! At 6-feet tall, Pennywise will tower over trick-or-treaters! The killer clown from the TV movie It is now a massive Halloween inflatable! 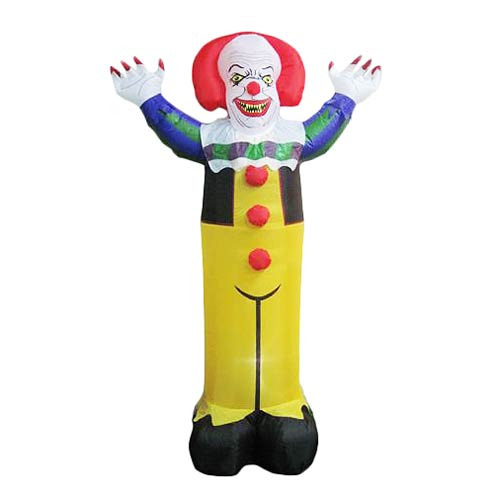 The It The Movie Life-Size Inflatable Pennywise measures 6-feet tall when inflated. Pump him up and watch him tower over nosy trick-or-treaters! Pennywise features water pockets in his shoes that allow him to stand erect to greet your guests. Ages 17 and up.